The Nordic Kitchen range has a whole new style! 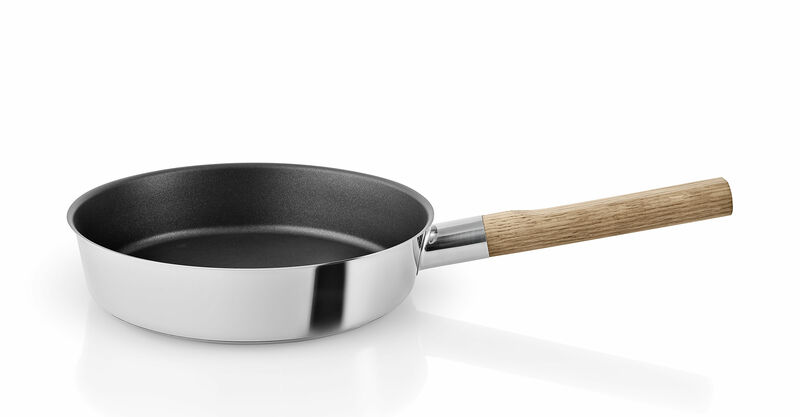 Each item in this beautiful cookware set comes in a mix of stainless steel and natural oak. An elegant Nordic design that’s perfectly adapted to this comprehensive collection that includes: a saucepan, a casserole, a frying pan, a stew pot, a salad bowl, a kettle, a coffee maker, a pitcher, knives ... and even more accessories. 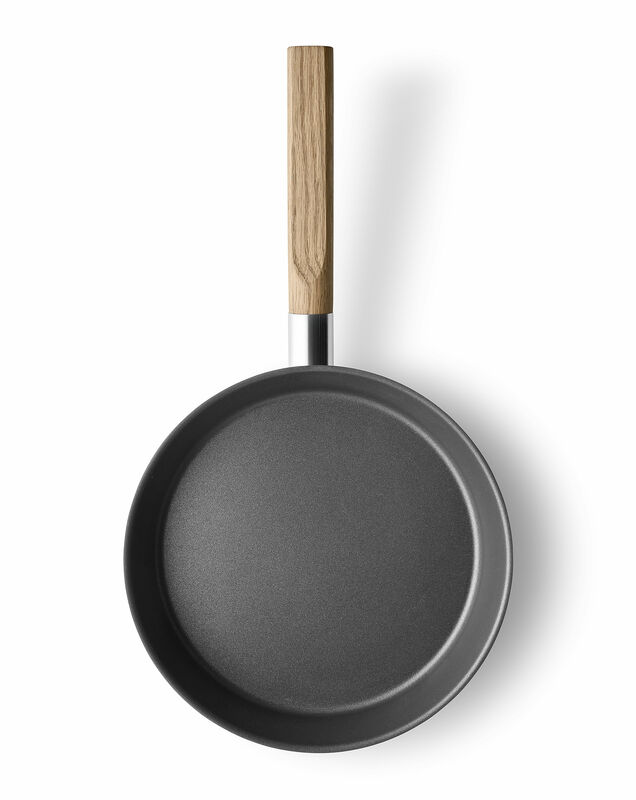 This Nordic Kitchen non-stick frying pan will delight both the cook and his or her guests with its sober design and soft lines. 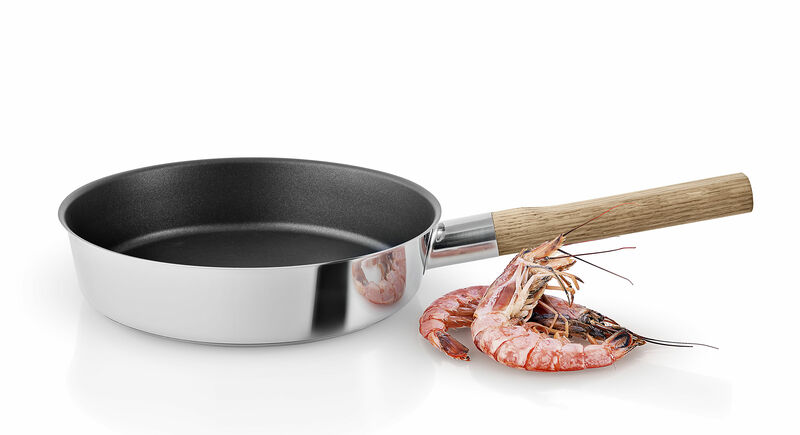 Highly practical, it has a high-quality non-stick coating (Slip-Let® 4 layers) and is also compatible with all burners, including induction hobs. PLEASE NOTE. This product is not dishwasher-safe.